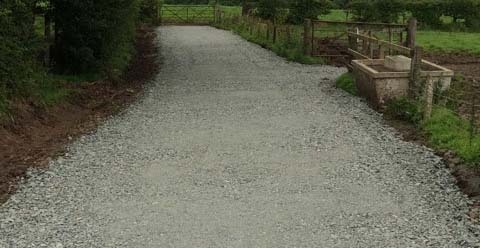 Drumclog Plant has completed another successful cow access tracks project at North Biggart, Lugton. 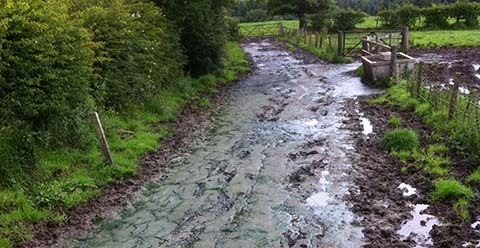 The original cow access tracks had poor drainage causing a build-up of wet areas and boggy conditions. This severely impacted cow mobility and slowed down the time between travel to and from the pasture. Time was added to the milking process as there was a need to wash and remove mud for the cows udders beforehand. Drumclog Plant used its experience in the farming industry to rebuilt the cow access tracks by making the most effective use of the current layout to get maximum benefit for the minimum cost. Quality materials were used to construct the tracks to create a smooth and durable track that increased cow mobility and improved water management on the farm. We have worked with many leading firms across the UK ranging from contractors in the construction industry to the trade and DIY market. Request a quote.